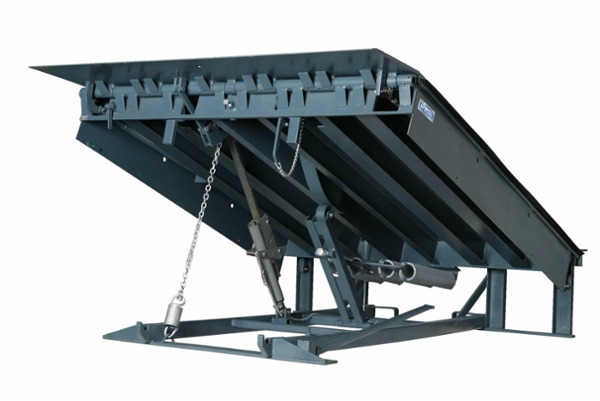 Our dock levelers combine the highest quality design, materials and manufacturing to meet customer requirements and dock safety regulations. 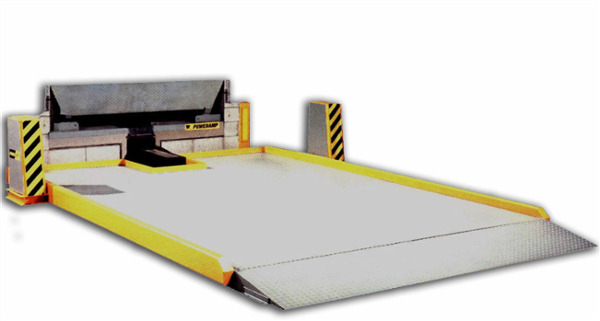 We provide to our customers safe and efficient loading dock equipment at an affordable price. Designed and built to meet the demands of high-volume loading docks. Our hydraulic dock leveler will meet any of your dock equipment needs while providing low lifetime ownership costs and years of trouble free service with the industry’s best built-in safety. This series design allows finger tip release pull chain activation with smooth reliable operation via a cam and roller counterbalance to assure smooth dependable walk down to trailer bed with below dock capability included. The hold down design floats with air ride trailers and the full width rear compression hinge is designed for superior strength. Designed to meet your budget plus offer years of trouble free service. It is made with safety, trouble free service and your budget in mind. The Top-Of-Dock levelers are the industry standard for surface-mounted dock levelers, and are by far the most popular choice of motor freight industry professionals when they are working at low docks. The initial cost is low. They're easy and safe to operate. Their rugged design requires little maintenance. 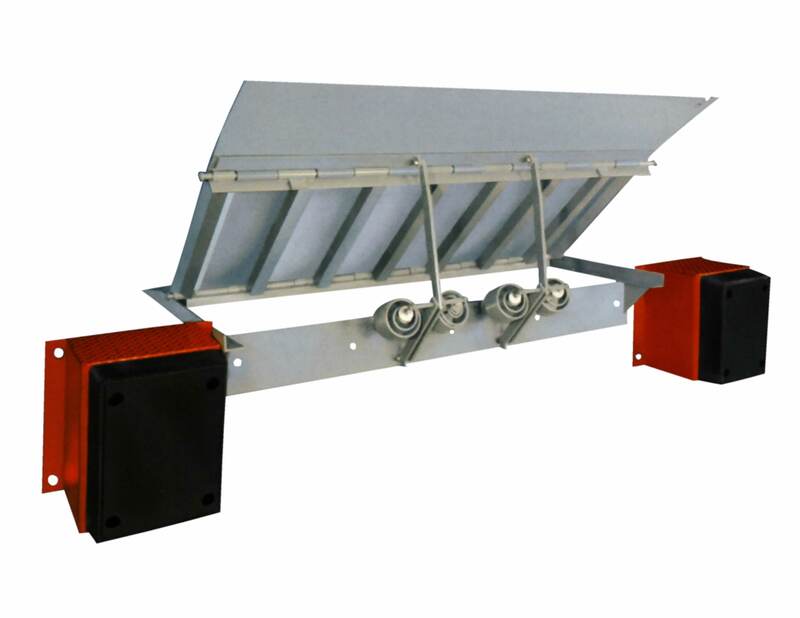 This series represent a low cost hydraulically operated unit that bridges the gap between building and truck where a minimal variance exists between dock and truck with a recommended working range of +/-3” and a maximum operating range of +/-5” above and below dock level. A standard Nema 4 single pushbutton control provides easy activation of deck and lip. It has quiet dependable operation via a two cylinder design with deck and lip cylinders. These are low cost units meant for a captive fleet of trucks with a similar bed height. They normally mount to the face of the dock and can be placed in a small recessed pit. This is a light duty low cost alternative to the in pit style full size dock leveler. Also used when a pit cannot be utilized or as a retrofit. It is typically used in an environment with minimal difference between trailer bed and dock and the unit is typically mounted to the dock face. Today's new wider, longer and lower trailers often don't reach standard dock level. 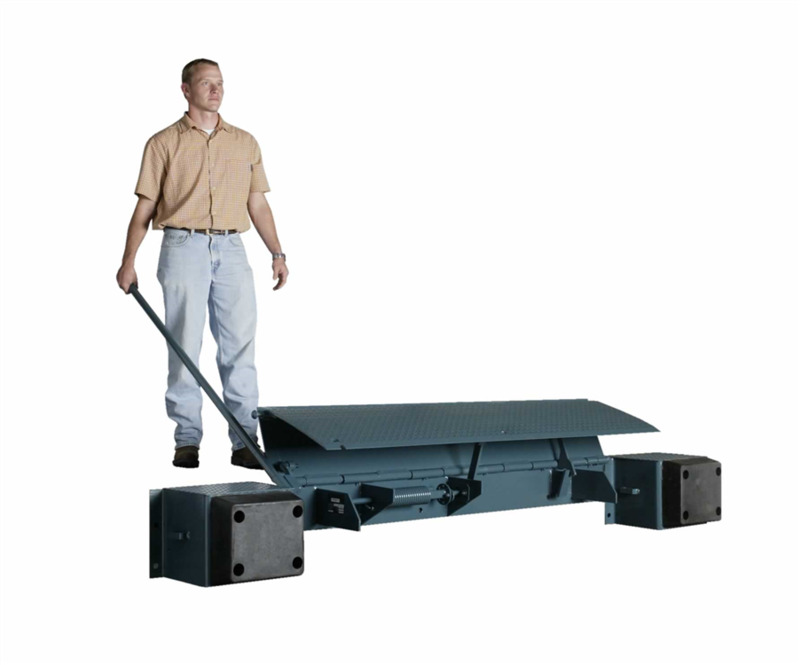 Our hydraulic truck levelers make loading and unloading these trailers safe and easy, eliminating the loading hazards you find with other dock leveling equipment.